Ghosts are notoriously camera shy. More times than not when someone claims to have photographic evidence of a ghost it is usually a Photoshop job, trick photography, or it is “orbs”. Orbs are actually just a light source reflecting off dust, bugs, or precipitation that is in the air and the only way your camera knows how to deal with this reflection are the balls of light that one often associates with orbs. Some photographic evidence of ghosts does exist, however. This photographic evidence has stood up to scrutiny and stood the test of time. 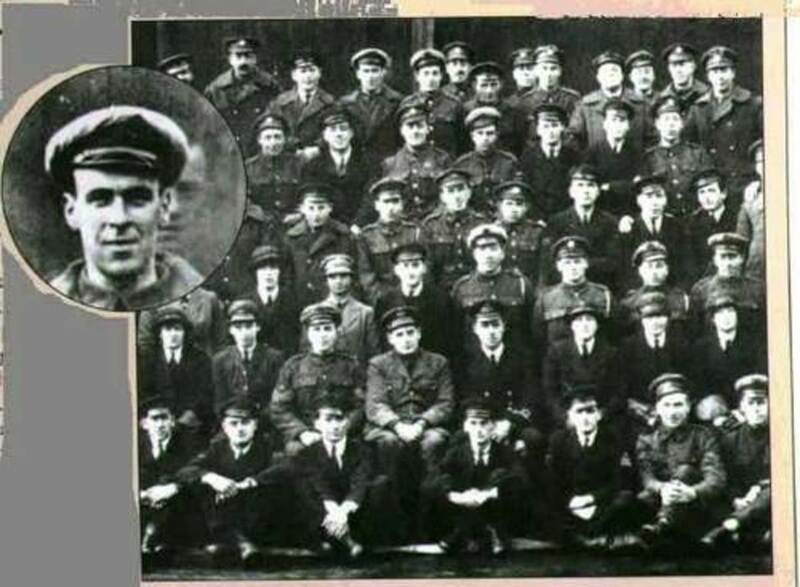 A squadron of the Royal Air Force assembled to take a mundane photograph, but after the picture was developed the squad quickly realized that this was no ordinary picture. Standing behind one of his mates was the two days deceased Freddy Jackson. Jackson was a mechanic for the Royal Air Force and served onboard the H.M.S. Daedalus. He had been working when we was killed in a freak-accident by an air plane propeller, but Jackson did not let his death get in the way of him showing up on time for the group photo two days later. Several of the other men in the photo confirmed that it was in fact Jackson’s face in the background of the picture. This photo was taking at Bachelor’s Grove Cemetery in Illinois. While it does not get the press that Illinois Resurrection Cemetery does, many experts in the field of the paranormal consider it to be one of the most haunted graveyards in the world. So what is so unique about a photo of a women sitting on a stone in a graveyard? According to the people who took this photo the woman was not there when the picture was taken. The photo was taking by Mari Huff who is a member of the respected paranormal investigating group Ghost Research Society, so this helps lend some credibility to the story. In my opinion, it looks to be a staged photograph but I definitely think the photo’s authenticity is worth a debate. In 1996, Ike Clanton thought it would be a pretty cool idea to deck himself out in cowboy attire and have his friend snap a picture of him while he stood in Boothill Graveyard in the famous Tombstone, Arizona. Upon examining the picture Clanton noticed a man in the background of the photo that was not there when the photograph was taken. Clanton was intrigued by this and set out to recreate the photo with a friend standing in the background and discovered it was impossible to recreate the picture without having the legs visible. 4. Spirit in the Woods? This photo was taken by Reverend R.S. Blance at Corroboree Rock near Alice Springs, Australia in 1959. In the woods with branches in front of her appears to be a transparent women. If a photo like this was taken today one would likely think that it was a fake ghost picture created in Photoshop, but Photoshop didn’t exist in 1959. Double exposure is also unlikely given how visible the areas in front and behind the women are. On November 19, 1995 Wem Town Hall in England caught on fire. The fire raged on all through the night until the building was nothing but rubble. As firefighters battled the flames, a local citizen, Tony O'Rahilly, decided to snap some pictures of the event. In one of his photographs there appears to be the clear image of a little girl standing in front of the inferno. No one remembered a young girl being at the scene and there was definitely not a young girl in the burning building. Some believe this is the ghost of a young girl named Jane Churm who, in 1677, accidentally started a fire that destroyed many homes in the town. Jane also died in the fire. Perhaps the photo is just smoke creating the amazing illusion of a girl or perhaps it is a real ghost. The year is 1959. Mabel Chinnery had just spent the day at the cemetery visiting her mother’s grave. To finish off a roll of film she snapped a picture of her husband who was seated in the front seat of the car awaiting her. She had the pictures develop. While looking at the photographs she makes a chilling discover. In one of the photos her deceased mother is sitting in the backseat of her car. In the summer of 1954, Reverend K.F. Ford was taking pictures of his church that is located in England. While snapping pictures he accidentally captured one of the most famous and perhaps undeniable pictures of a ghost ever taken. In the picture is what appears to be a monk with a ghastly face. The photo has been examined and it was determined that it is neither a double exposure nor had the negative been tampered with. Have you ever had a favorite chair or perhaps a preferred spot on the couch that is just more comfortable than the other areas of the couch? So did Lord Combermere. Lord Combermere unfortunately got hit with a horse drawn carriage in 1891. During his funeral his family hired a photographer to take some family pictures. His burial took place over 4 miles away and while the family attended the funeral the photographer prepared the camera. When the plate was developed it appeared that the apparition of Lord Combermere was sitting in his favorite chair. Perhaps the coffin wasn’t comfortable enough. 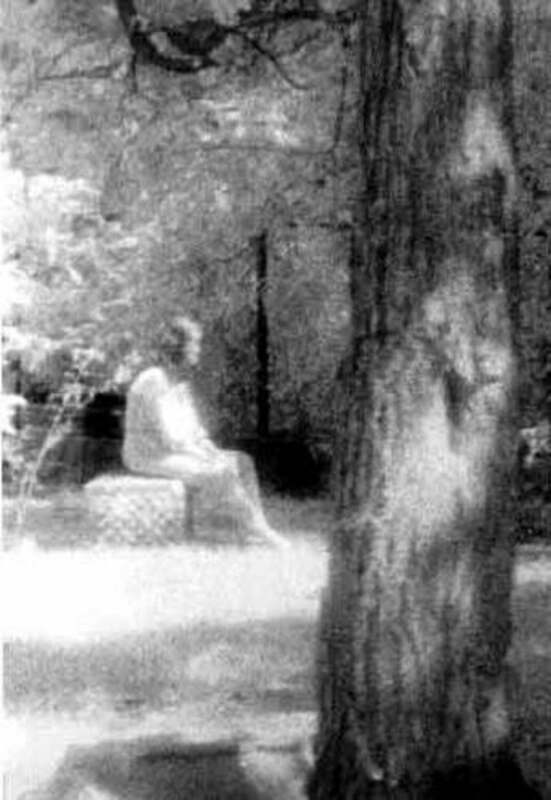 This photograph is considered by many to be the most famous “ghost” photograph. It was taken in 1936 at Raynham Hall in Norfolk, England and still today cannot be explained. The photogenic ghost is thought to be that of Dorothy Townshend who lived in Raynham Hall with her husband, Charles Townshend, in the 1700s. Legend has it that Dorthy was a mistress to Lord Wharton and Charles found out about it. He then imprisoned her in a remote section of the Hall until she died from his abuses. Legal records show she died in 1726, but many believe this to be a sham, as Charles wanted people to believe she was dead, so he could punish her for her infidelity. In 1966, Rev. Ralph Hardy visited the National Museum in Greenwich, England. While in the Queen’s House section of the Museum, Hardy snapped a photo of the beautiful staircase. Upon developing his photography Hardy made a shocking discovery. One of his photos showed a ghostly figure climbing the staircase. The figure was not in the photography when Hardy took the picture. The photograph and the negatives were examined by experts, some of which were from Kodak, and all have concluded that the negative was not tampered with nor is it a double exposure. Are these ten photos proof that ghosts exist? Is this proof of an afterlife? The problem is that there is always room for a hoax or accidental fake when one does not have multiple witnesses and insurmountable evidence. These ten photos are absolutely amazing, regardless. Some of these pictures have undoubtedly given even the most hardened skeptic goose bumps and I don’t believe they should be simply written off as fakes and ignored. These photographs should continue to be examined and researched.